Born, B, G Müller, M Schularick and P Sedláček (2018), “The Costs of Economic Nationalism: Evidence from the Brexit Experiment”, CEPR Discussion Paper 12454. 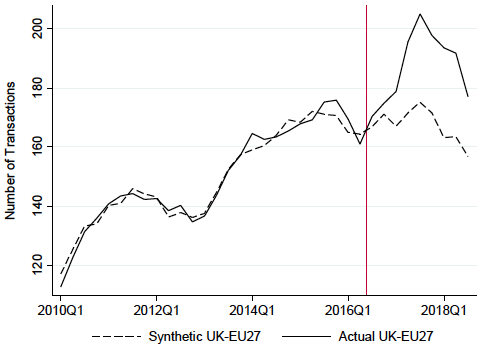 Breinlich, H, E Leromain, D Novy and T Sampson (2019a), “Voting with their Money: Brexit and Outward Investment by UK Firms”, CEP Brexit Analysis No. 13, Centre for Economic Performance, London School of Economics. 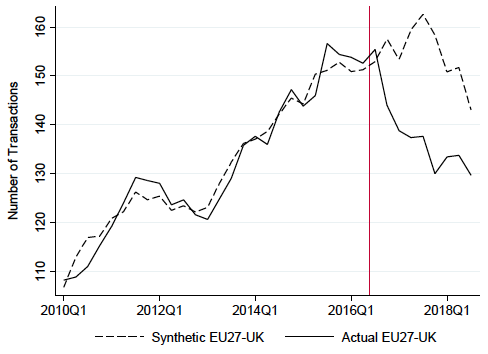 Breinlich, H, E Leromain, D Novy and T Sampson (2019b), ‘Voting with their Money: Brexit and Outward Investment by UK Firms – Technical Appendix’, Centre for Economic Performance, London School of Economics. France24 (2018), “HSBC to move seven offices from London to Paris amid Brexit uncertainty”, 7 August. Görg, H and C Krieger-Boden (2011), “Trade Protection Backfires on FDI”, VoxEU.org, 9 June. 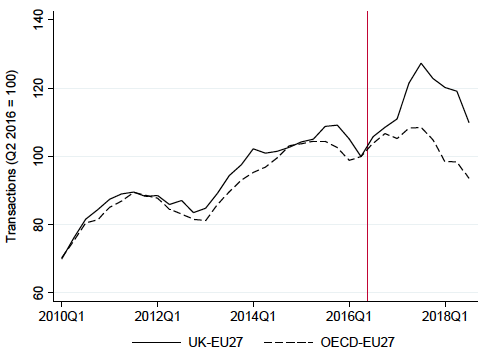 Serwicka, I and N Tamberi (2018), “Not Backing Britain: FDI Inflows since the Brexit Referendum”, UK Trade Policy Observatory Briefing Paper 23. The Guardian (2017), “EasyJet to set up Austrian HQ to operate EU flights after Brexit”, 14 July. The Journal.ie (2018), “Fermanagh bakery to build factory in Cavan to ‘survive Brexit’”, 27 July. The Telegraph (2018), “Barclays moving up to 50 investment bankers to Frankfurt ahead of Brexit”, 2 July.